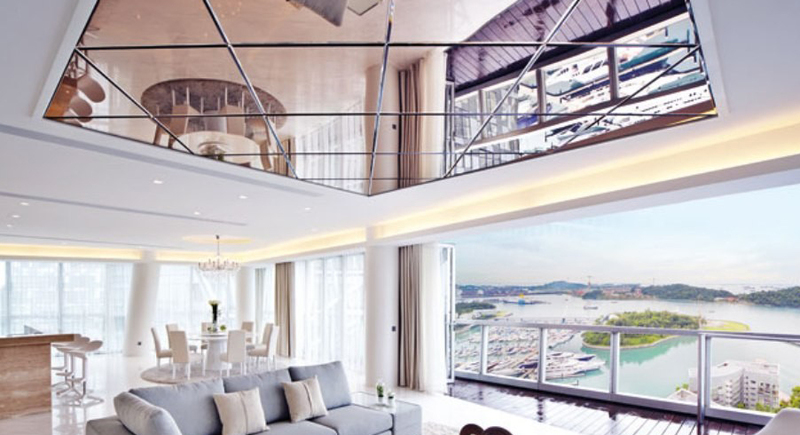 A mirrored ceiling is one of the best ways to visually increase the space of the room. It will be especially useful in the condition of low ceilings. 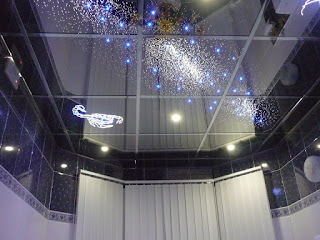 Moreover, such a design solution is able to decorate the room, to make it unique, and to create a luxury atmosphere. Different materials are used for the manufacture of a mirrored ceiling. In addition to the real mirror, it can be smooth aluminum, reflective plastic or film. A plastic mirror is a synthetic plate, which has a reflective film on its top. The main advantage of the plastic ceiling is lightness, which makes it easy to install. Stretch mirror ceiling is a stretched reflective film. Such a reflective coating is most easy to install. However, by time, the film may lose its appearance. The aluminum ceiling looks like it is made of a mirror. It is a good option if you are confident that it will not be subjected to mechanical stress because aluminum can lose its gloss due to scratches. Mirror plates have the greatest strength and reliability. They also guarantee a persistent high quality of reflection. Such a coating is not afraid of exposure to the sun, moisture, and it does not form scratches. The only drawback of the mirror lies in its large weight. The fragility of the material complicates the process of its installation. That is why only professionals should install such a ceiling.